Tel Ḥarasim lies between the southern Coastal Plain and the Shephelah, in proximity to two perennial streams, Naḥal Barqai to the south and Naḥal Haruvit to the north. It covers an area of c. 40 a. and consists of a higher mound of c. 11 a. and lower terraces. It was founded on a plain and is thus an entirely man-made topographical feature. The tell was not mentioned by travelers or surveyors of western Palestine until the Shephelah survey conducted by Y. Dagan in 1980. Located in the fields of Kibbutz Kefar Menaḥem, its low terraces have been utilized for agriculture over the past 50 years by kibbutz members, who have noticed architectural remains and sherds. The original names of the Canaanite and Israelite settlements at Tel Ḥarasim are not known, nor have finds from the excavation elucidated this question. 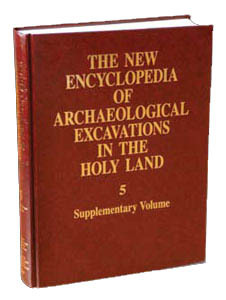 Proposals for identification, none based upon archaeological or historical evidence, include the biblical Libnah, Eltekeh, or Moresheth-Gath. The Iron Age II settlement at Tel Ḥarasim may be among the list of fortresses constructed by Rehoboam ( 2 Chr. 11:5–12 ) or in one of the lists in 2 Chr. associated with the reigns of Uzziah and Ahaz (26:6; 28:18).